Stockholm (AFP) – The anti-immigration far-right is expected to soar in Sweden’s September 9 general election, capitalising on voter discontent as Swedes punish traditional parties over immigration, integration and health care. A Skop institute poll published on Sunday, a week before the election, credited the Social Democrats with 23.8 percent of support, compared with 31 percent in the 2014 election; SD with 20 percent, up from 13 percent in 2014; and the Moderates with 17 percent, down from 23 percent. Speaking to AFP after a campaign rally outside Stockholm on Sunday, Lofven criticised the former centre-right government in power from 2006-2014 for having “decreased taxes the most for the richest and decreased resources to our welfare” system. Sweden is known as a pioneer in fields ranging from equality to environmentalism and women’s and children’s rights. 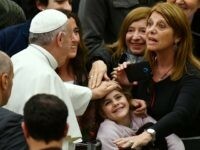 It has been hailed for its transparency, consensus-building, strong business climate, low crime and tolerant society. So what happened that made it possible for a party like SD, with roots in the neo-Nazi movement, to “impose its agenda”, as Gothenburg University political science professor Ulf Bjereld put it. Visitors to Sweden in 2018 will still see young dads on paternity leave pushing prams, and helmeted cyclists biking through clean, tranquil and picturesque cities. But this year’s election campaign posters signal a change of tone in the public debate: “No to Prayer Calls”, “Speak Swedish to become Swedish”, and “Hate or Debate?”. Neither Lofven’s left-wing bloc nor the centre-right four-party Alliance are seen winning a majority. And both blocs have ruled out a collaboration with the far-right. With a parliamentary deadlock in sight, no one can predict what the next government will look like. Thorny, drawn-out negotiations are expected after the election, with most political analysts agreeing Sweden will end up with a weak minority government. While SD has no chance of entering government as long as the other parties refuse to reconsider its pariah status, it will nonetheless wield strong influence, holding key positions on parliamentary committees that draft legislation. “We’re going to lay out our conditions and push our position on … immigration policy, crime-fighting, and health care,” SD leader Jimmie Akesson told AFP in the final stretch of campaigning. Akesson’s party has been siphoning voters primarily from the Moderates, but also from the Social Democrats with its voter base traditionally heavily anchored in the Trade Union Confederation (LO). In rural areas — far from Sweden’s growth and innovation hubs — rising numbers have been seduced by SD’s nationalist rhetoric. Up to a third of LO members could vote for SD, polls suggest. “They often work in the transport and construction sectors which employ a lot of European workers on (their home countries’) minimum wage,” Lund University sociologist Anders Kjellberg said. “Those salaries are much lower than the salaries set by (Sweden’s) collective wage bargaining agreements,” he said. Average wage-earners, pensioners and first-time voters: many of those who would in the past have voted for the Social Democrats now accuse Lofven of compromising their cherished welfare state by welcoming so many asylum seekers, whom they see “as an economic and cultural threat,” says Stockholm University sociology professor Jens Rydgren. A country of 10 million people, Sweden has welcomed 400,000 asylum seekers since 2012, first under the centre-right government of Fredrik Reinfeldt and then under Lofven’s centre-left administration. 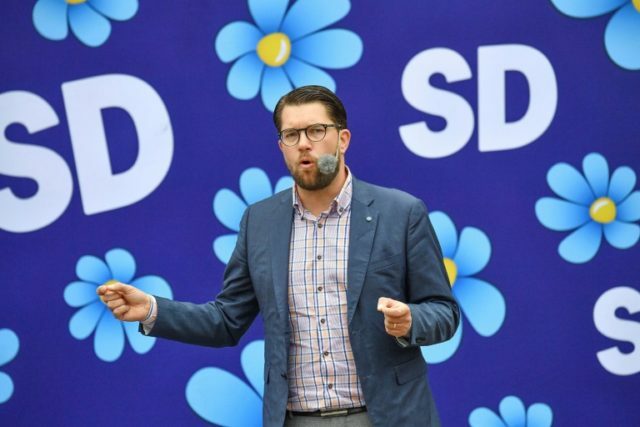 LO head Karl-Petter Thorwaldsson has warned that since SD has no chance of entering government, a vote for the far-right is a vote lost by the Social Democrats — and therefore “a vote for the right”. After Sweden’s eight years under a centre-right government, Lofven took power in 2014 as a unifier reconciling, in true Swedish social democratic fashion, business competitiveness and social justice. Four years later, Lofven’s report card is mixed. Unemployment is at its lowest in 10 years, economic growth is robust, inflation is contained and public finances are strong. But Swedes are dissatisfied with long health care queues, growing social inequalities and mounting segregation, with gangland shootings claiming 40 lives in disadvantaged suburbs last year. “The balance of power has shifted, because of the EU, globalisation and digitalisation, and the Social Democrats are no longer able to keep their promises,” Sweden’s paper of reference Dagens Nyheter wrote recently.